Downtown areas across America are starting to see a disturbing trend. Signs like the ones below litter storefronts from major cities to middle America, from farming communities to oil towns, from the less affluent to the most affluent, few areas have been spared. These pictures were taken below in Los Altos, CA, located in the southern end of the San Francisco Peninsula. 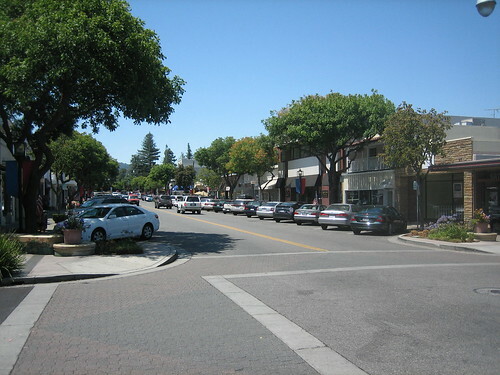 Los Altos has a median household income of $158,745 - which puts it third in the nation for affluent neighborhoods. 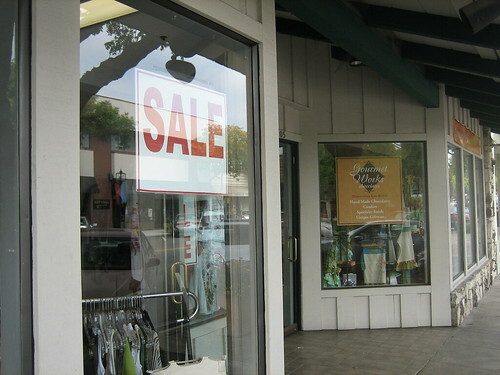 There has also been an onslaught of "Sale" signs in store windows to draw in that prospective customer. Many of the deals range from '20% to 50%', 'Buy One, Get One Free', 'Lunch Specials', and 'Reward Cards'. 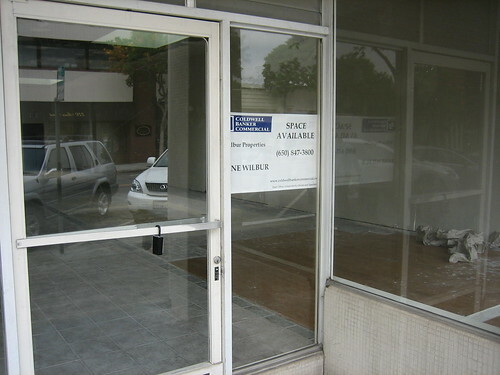 It's a buyer's market and business owners are doing all they can to reel customers in. 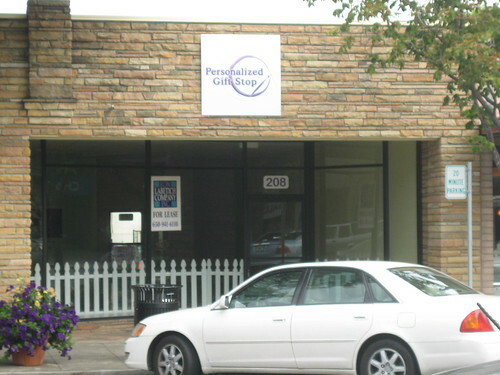 MerchantCircle has always offered an instant coupon building tool for merchants that can be easily printed out and redeemed from a merchant's listing, as well as city pages that allows you to track ALL the coupons in a local area. 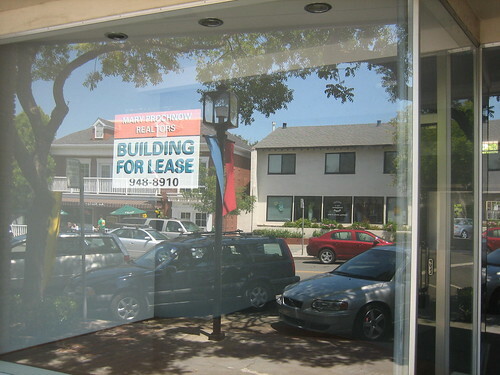 While Los Altos still has a number of strong, thriving businesses, and obvious prosperity, the number of merchants who are conserving their money has grown. That's why it's more important than ever to not only create coupons and email them to your most valuable merchants, but also to have ongoing sales and promotions (that can be created here) on your listing - whether it's a full weekend sale or a Happy Hour special. 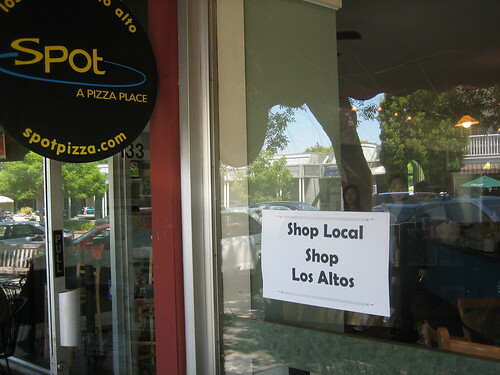 The Los Altos Chamber of Commerce has started a 'Shop Local, Shop Los Altos' campaign to try and keep the dollars being spent in Los Altos. In a recent MSN Money article, Ventura, CA was considering approving a Wal-Mart SuperCenter being built (it will be voted on in November). The article lists a number of pros and cons from different authorities, with the pros being a windfall of about $350,000 to $500,000 in added sales tax revenue that first year, and an extra 150 to 450 jobs, not to mention the savings of up to $2,500 a year per family in reduced shopping costs. The cons listed as, local jobs lost of 1.4 to each job added, with reduced salary and benefits ($12.76 average to $10.83), also the ripple-effect loss of an estimated 77 U.S. manufacturing jobs from each Wal-Mart, which equates to more than 33,000 manufacturing jobs a year. As we have more options to save money, whether through the web or by going to big box retailers, the question you should ask yourself is whether it is worth it to ourselves and the broader implications on the economy as a whole. 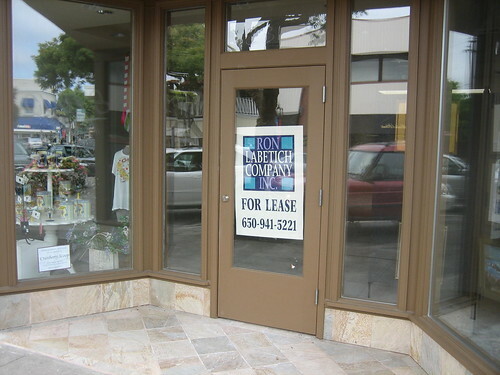 Here at MerchantCircle, we support 'local' and we support better local conditions. Small business owners created half of all new American jobs in the last decade. When you stifle entrepreneurship with only big box options, you've undercutted the foundation of what American dreams are made of. It made easier to shopping with trust!! !